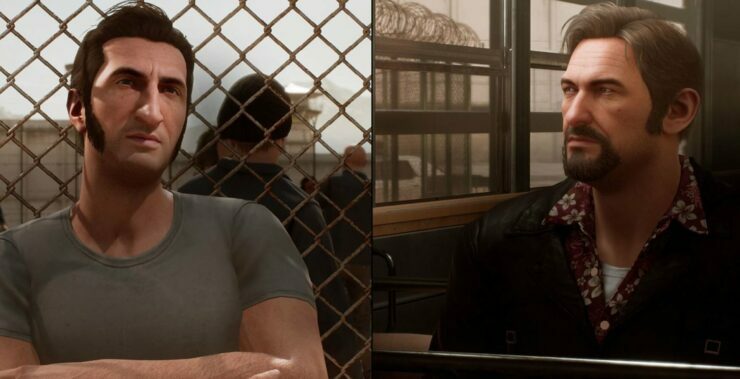 Hazelight’s A Way Out action/adventure split-screen co-op game is due for release this Thursday for PC, PlayStation 4 and Xbox One. As usual before a game release these days, some of the key developers have taken to Reddit this afternoon to participate in an AMA (Ask Me Anything) session and answered several questions in the process. The outspoken Josef Fares confirmed the game’s average length, for instance, and said that Hazelight will now focus on another project rather than working on DLC for A Way Out. With regards to PlayStation 4 Pro and Xbox One X support, Hazelight’s Lucas said that the former will get uncapped frame rate while the latter will also enjoy higher resolution (and thus better picture quality) on top of that. He then replied to a question about the lack of Nintendo Switch port. Also, since both players require their own camera control, it would mean that you would be forced to buy an extra Pro controller to even play the game, which seems like it would be a little unfair to the concept of the Switch. It would have been quite an effort to make an automatic camera system to make the single Joycon play work. Finally, Lucas also clarified how the ‘friend pass’ works. Basically, anyone will be able to download A Way Out without purchasing it but they’ll need an invite from someone who purchased it to play it together. The good news is that this procedure can be replicated with as many friends as desired. You can play with as many people as you like. All they have to do is download the friends pass version from Origin, which can be downloaded for free by anyone. After starting that they will need to wait for you to invite them before they can play the game. A Way Out is priced at $29.99 and can be pre-ordered for Xbox One via Microsoft Store, for PlayStation 4 via PlayStation Store and for PC via Origin Store.